Tap is a high energy dance form where dancers use their feet like drums to create rhythmic patterns and timely beats, becoming another instrument in the band. Through frequent use of syncopation, dancers learn musicality and how shifting their weight can create different shades and tones of sound. The aggressive, complex, catchy rhythms of tap are always an audience favorite. Ballet Elite instructors combine the suave style of Broadway tap performed by Fred Astaire and Gene Kelly, with the hard-hitting, high speed, close to the floor Rhythm tap of Gregory Hines and Savion Glover. 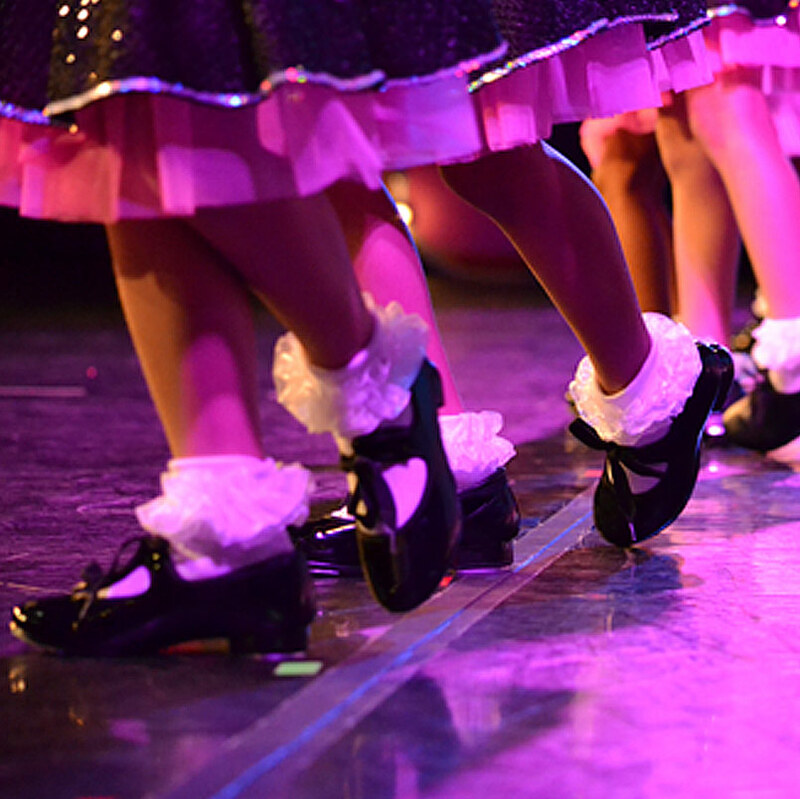 Broadway tap is widely used in musical theater performances, and Rhythm tap focuses on musicality.